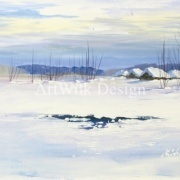 Winter landscape painted with acrylic on paper. 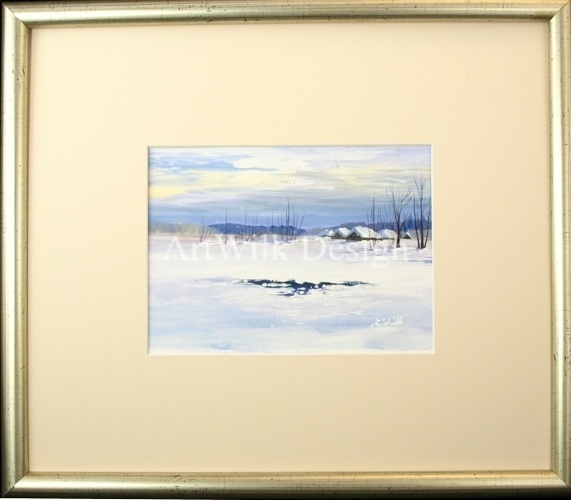 Painting framed in passe-partout and frame with glass. Painted area dimension 18x13 cm. Dimension with the frame 36,5x31 cm. Packed in a cardboard and bubble wrap.